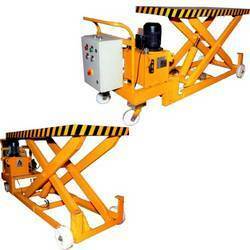 Pioneers in the industry, we offer hydraulic lifting platform from India. In order to meet the assorted demands of respectable clients, we are able to deliver Hydraulic Lifting Platform. The offered range of hydraulic lifting platforms is designed & developed utilizing optimum grade material, sourced from trusted vendors of the market. Along with this, the offered range of hydraulic lifting platforms is extensively utilized in hydro-electric power projects, thermal power stations, metal extraction industries, airports, docks, ports and process industries. Looking for Hydraulic Lifting Platform ?